Just look up and you can see the green. Can you see the evotranspiration? That's more than just a color. It also means "evapotranspiration knob" has been turned on. Expect the slow winter rate of water recession to speed up. Won't be long until there's no water left. It's springtime in the swamp! 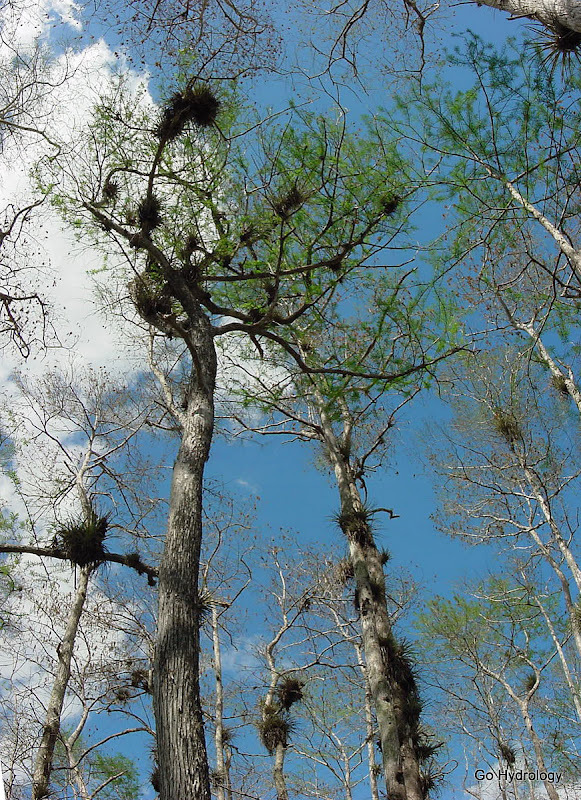 Saw the program on PBS last night about Big Cypress Swamp. It was great! I love that spring great color. I guess the water is being sucked up and used for the cypress growth.